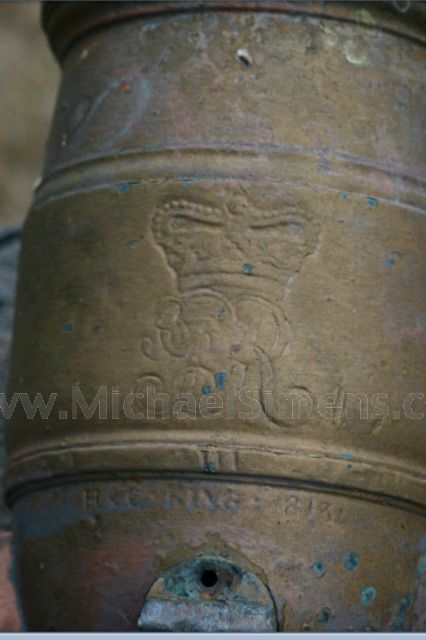 This is a regulation size foot mortar showing a wonderful the King George cartouche. 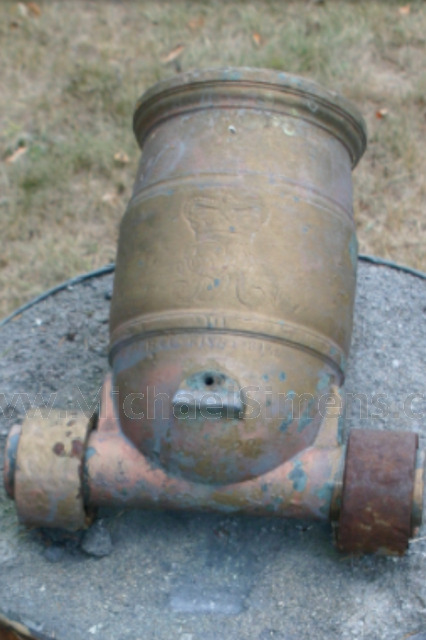 It is dated 1813 with accompanying weight markings behind the touch hole. It's in generally fine condition with a coating of gold paint that needs to be removed. I don't need to tell anyone how rare this is. It would make a fantastic addition to any war of 1812 collection.